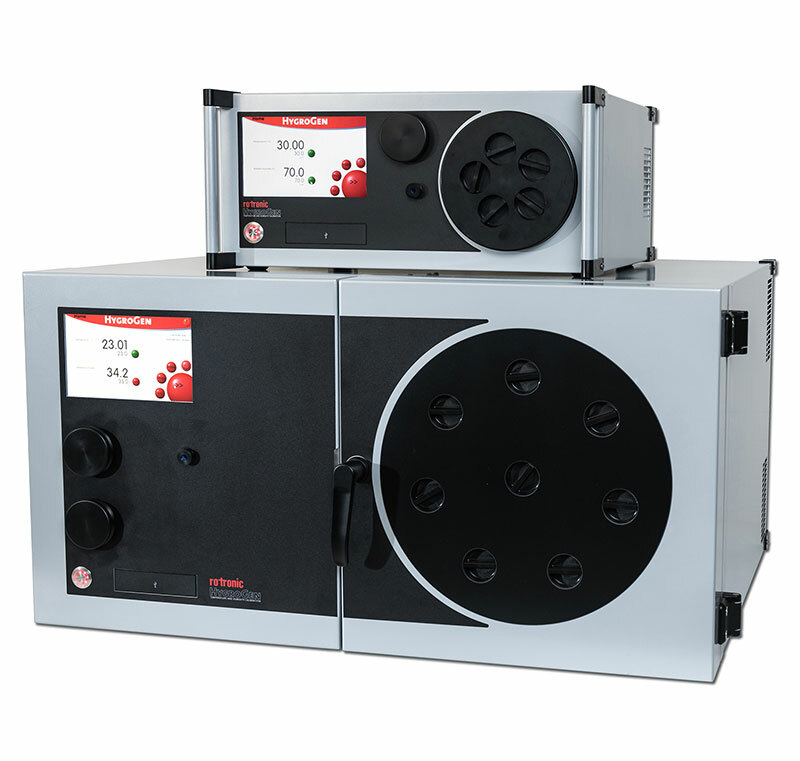 This enables multiple probes from all manufacturers to be calibrated both in the laboratory and on-site. Calibrations can be performed across the working range of devices; with only a few minutes to reach stable set-point equilibrium work is completed quickly compared with other methods. The HygroGen2-XL generator saves time and money with its ability to perform multipoint calibrations on multiple sensors with fast turnaround time, providing fast payback on the investment. The HygroGen2-XL generator is perfect for calibration laboratories, production areas throughout industry and research facilities where fast stability time is required. It enables a high volume of probes and devices from all manufacturers to be calibrated at multiple points with fast return to their installation minimising production downtime.